Jeep Kraft Trail, Beyond the Powerlines. Current track length: Full day including the bog holes. 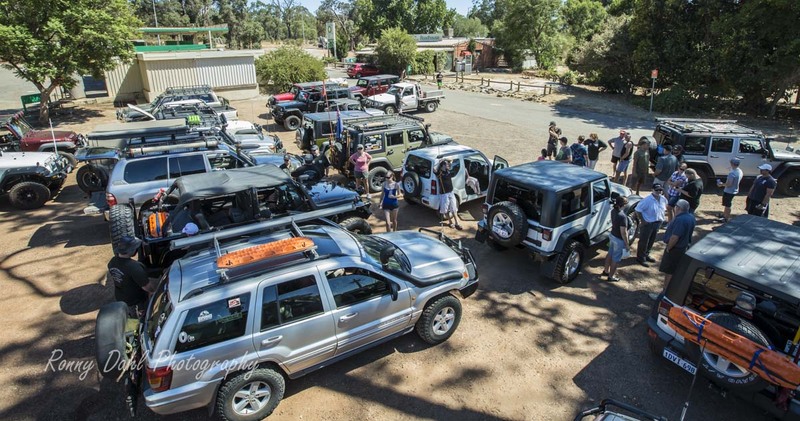 Jeep Kraft Trail is a few tracks in Mundaring State Forest; we named it Jeep-Kraft as they plotted the track and hosted a fundraiser event there. The Lakes Road House is a good place to meet up before embarking. The trail starts right from the black top at a fire break trail right next to a farm; it snakes up and down some hills with a few tight turns here and there. In summer and spring this track is fairly tame in winter the wash outs will make for a medium challenge in difficulty. After the washed out hills it leads to an open area which is a good spot for a bite to eat. At the 1st cleaning the trail starts to get a bit more interesting as it follows the creek/river bed and winds around through the bush, along-side running parallel is a well use and smooth dirt road so if the creek bed gets to tricky there are plenty of places to exit. In winter, driving in the creek bed is not advised, not wise to do so. While it is dry the base is hard and gives your suspension a great work out, in winter you would simply just get bogged. Eventually fallen trees and branches block the way and in order to continue the dirt road running parallel is the only way, in winter or the rainy months the dirt road should be used the entire way. Just a bit further down the dirt road is a 2nd clearing, here continuing along the dirt road will take you out to the great southern highway. Also at the 2nd clearing is a rocky outcrop with some medium to large rock steps which will give the suspension some more work out. Keep the Tyres deflated until you reach the highway as the dirt road from the clearing has a few wash outs, once at the exit there is plenty of room to reinflate the Tyres. 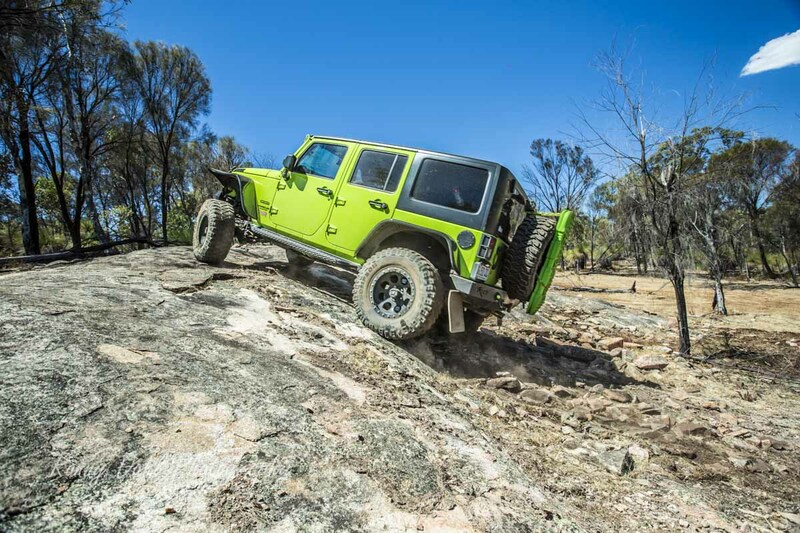 Jeep Wrangler Climbing The Rock. In summer this track is very tame and stock vehicle will manage fine as long as the driver knows their limits when it comes to the river bed run. In winter things will change a fair bit as the wash outs will increase and the hills and step banks will become very slippery, in this case the track could become a medium difficulty requiring low range gearing and smart driving. When in doubt get out and have a look! Recommended tyre psi is 16-20 to keep traction and prevent unnecessary track damage. ALSO SEE OVER 150 PHOTOS FROM THE JEEP KRAFT FUNDRAISER EVENT. Enjoy a drive in the bush. All year round, in winter the river bed run would not be recommended! Keep heading east on the track until you reach the next way point which is the 1st clearing. Head north along the river bed or the dirt road which runs parallel until you reach the 2nd clearing. This is the finale stage of the short trail, from here head north to exit after checking out the rocky out crops. From the 2nd clearing make your way to here along Wundabiniring rd. 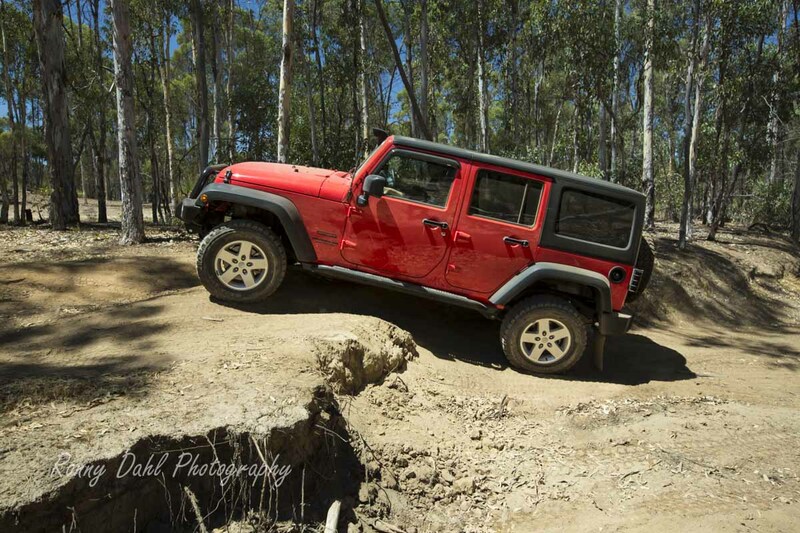 Leave The Jeep Kraft Trail And Go 4 Wheeling In Western Australia.